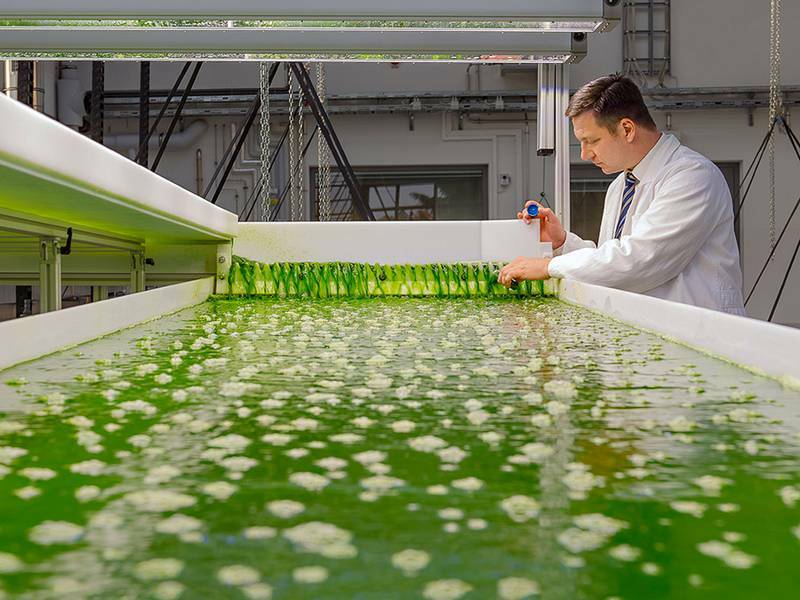 The Technical University of Munich (TUM) has built a worldwide one-of-a-kind technical facility for algae cultivation at the Ludwig Bölkow Campus in Ottobrunn to the south of Munich in cooperation with Airbus Group. 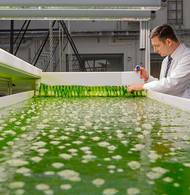 Efficient processes for producing biokerosene and chemical products from algae will be developed there. The AlgaeTec facility was inaugurated today in the presence of the Bavarian Minister of Education, Cultural Affairs, Science and the Arts, Dr. Ludwig Spaenle, Airbus Group’s Chief Technical Officer, Dr. Jean Botti, and TUM president, Professor Wolfgang A. Herrmann. Scientists estimate that there are some 150,000 different types of algae. Around 5,000 of them have been fundamentally characterized, yet only around ten species have been implemented for commercial exploitation. 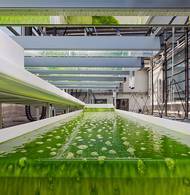 With their new algae facility, researchers aim to change this. They hope to develop efficient processes for the production of biokerosene and chemical products there. 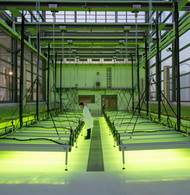 The 1,500 square meter building houses three areas for algae cultivation, as well as laboratory and office space. 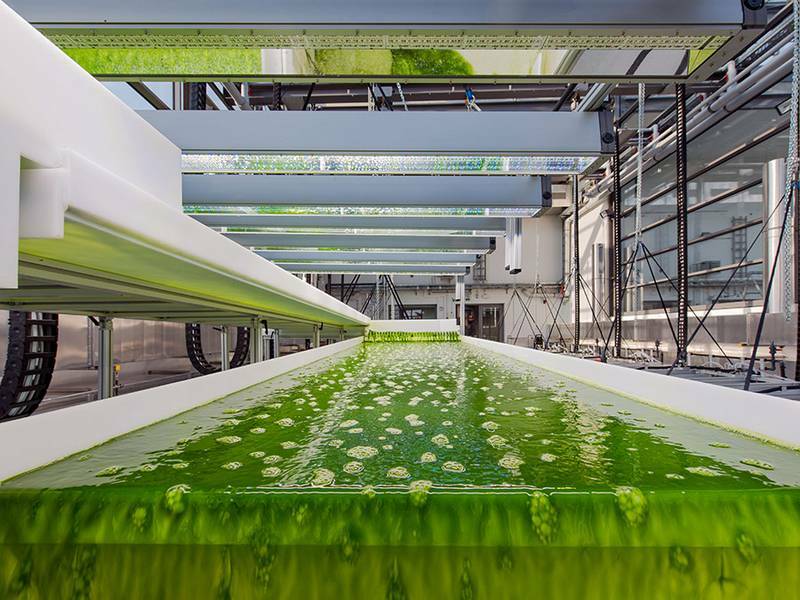 What sets the Ottobrunn algae center apart is the fact that lighting and climate conditions for practically any location on Earth can be simulated. Airbus Group and the Bavarian Ministry of Education, Cultural Affairs, Science and the Arts are sharing the costs of just over ten million euros for the facility and the equipment. The building’s façade is comprised of special highly transparent glass that also lets ultraviolet light pass through. Elaborate climate technology ensures that both tropical and very dry climate conditions can be created. Two different climate zones can be simulated in the two outer halls. The middle hall is geared to cultivation and preparatory experiments. 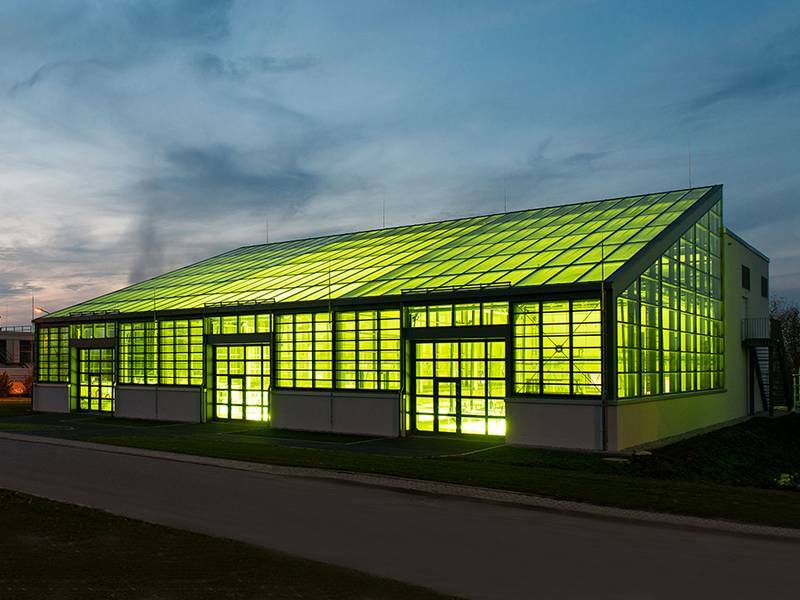 Cultivation is not limited to just one type of photo-bioreactor. Various open and closed systems can operate in parallel in the halls, under the same or different climate conditions. 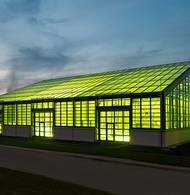 Thanks to the facility’s elaborate building automation systems, the algae center’s operations are highly energy efficient. “The investment in the AlgaeTec facility on the Ludwig Bölkow Campus once again underscores Airbus Group’s strong interest and involvement in the development of renewable fuel technologies,” says Dr. Jean Botti, Chief Technical Officer of Airbus Group. 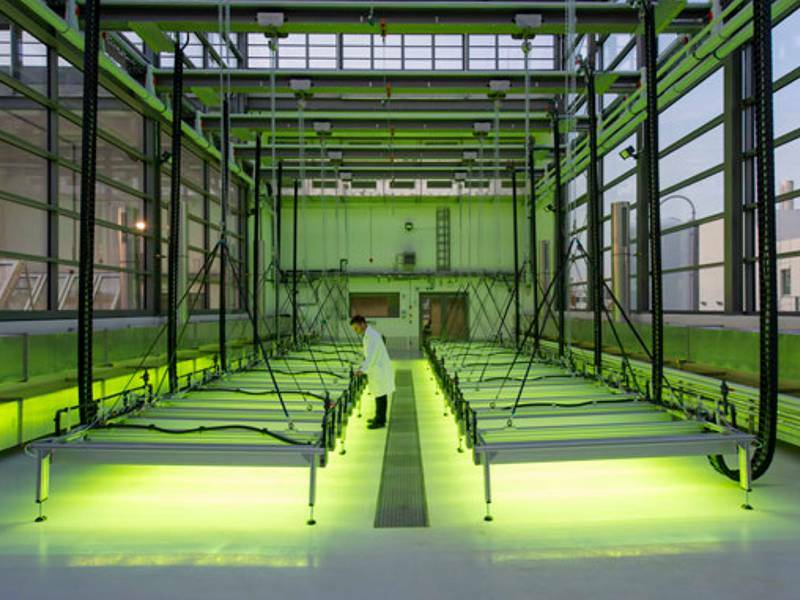 The AlgaeTec facility is a key part of the “AlgenFlugKraft” (AlgaePoweredFlight) project, which is funded by the Bavarian State Ministry of Economic Affairs and Media, Energy and Technology. Further project partners include the Department of Technical Chemistry II (catalytic conversion of biomass) and the Institute of Biochemical Engineering (technical scaling of cultivation) at TUM; Airbus Group, Clariant Produkte Deutschland GmbH (algae processing, oil separation) and conys GmbH (hydrogen / biogas production).